Whether your business is large or small, you will face a seemingly endless barrage of local, state and federal regulations that you must comply with. Staying compliant can mean the difference between operating in good standing and facing hefty fines and penalties. Strict compliance with all kinds of regulations is vital to keeping your business up and running for the long haul, with minimal interference from state or federal agencies. While the task may seem daunting, it is best to be informed, and stay informed, to make sure that nothing gets missed. Let’s start with the basics: business insurance requirements. Every state has regulations regarding the type of insurance that businesses must have. And keep in mind, what the state requires is usually only a minimal amount of coverage; chances are, your coverage needs are much greater than what the state of Mississippi prescribes. Regardless, you must comply with the minimum requirements or face serious consequences for your business. Insurance in all of its forms is a safety net for individuals and businesses should some unforeseen event or disaster take place. Business insurance protects your business and your employees from financial devastation due to natural disasters, accidents, fires, storms, workplace injuries and illnesses, and lawsuits. Insurance can help you keep your doors open if you are faced with a devastating event. Commercial liability coverage: Commercial liability insurance is not required for businesses operating in Mississippi, but liability insurance is essential to protecting your business from lawsuits. The statute of limitations for personal injury lawsuits in Mississippi is three years for negligent conduct and one year for intentional conduct. In addition, the statute of limitations for product liability lawsuits in Mississippi is three years, and Mississippi has no cap on personal injury awards. For this reason, liability insurance is essential if you have business assets to protect. Mississippi businesses typically purchase from $500,000 to $1 million in liability protection, and a wide variety of basic and specialty coverage and limits are available. Commercial property coverage: Commercial property coverage is not required for businesses operating in Mississippi, but if you have business property that could be destroyed or damaged by some unforeseen incident, you need business property coverage to help protect you. Commercial vehicle insurance: All drivers in Mississippi are required to carry a minimum amount of car insurance. If you or your employees use personal vehicles for business purposes, or if your business owns or leases vehicles, you need commercial vehicle insurance that at least meets the state minimum requirements. Commercial flood insurance: Mississippi is highly susceptible to flooding. Commercial flood insurance is not required in Mississippi, but it is highly recommended that businesses purchase flood insurance from the National Flood Insurance Program (NFIP). Visit FloodSmart.gov for more information about flood insurance for your business. Workers’ compensation coverage: Mississippi employers with five or more regular full-time employees must purchase workers’ compensation coverage. Workers’ compensation insurance compensates employees for expenses related to workplace injuries and illnesses. Mississippi has a no-fault workers’ compensation system. This means that your workers’ compensation insurance will pay workers’ medical expenses and lost wages related to a workplace illness or injury, regardless of who is at fault. Businesses that employ less than five employees are not required to purchase workers’ compensation insurance, but can do so voluntarily. Domestic workers, farm laborers and non-profit employees are exempt from Mississippi workers’ compensation requirements. In addition to business insurance compliance, Mississippi businesses must also comply with a variety of regulations related to employment, employee benefits, taxes, permits and licensing, environmental issues, workplace safety and more. We can help ensure that you are meeting your business insurance and employee benefits obligations under the law, and can help you make sure you have the right coverage to meet the unique needs of your business. We have experience helping companies of various types and sizes calculate and evaluate their total cost of risk as part of our Risk Reduction Approach. We can help you, too. 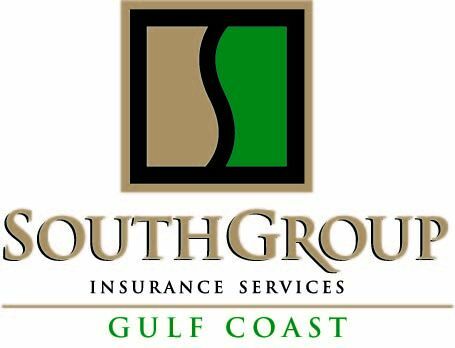 Call SouthGroup Insurance Services today to learn more about our Risk Reduction Approach and how it applies to your business.Your Trusted Choice Insurance Agent, SouthGroup Insurance Gulf Coast wants you to know you can call on us with your questions or concerns seeking more helpful advice or answers to your pressing insurance questions. A full insurance review is always your best bet to make sure you have all of the adequate coverage for your personal insurance needs. Remember, we offer a personalized insurance review to anyone who is interested at no charge – just visit any one of our 3 convenient coastal locations!